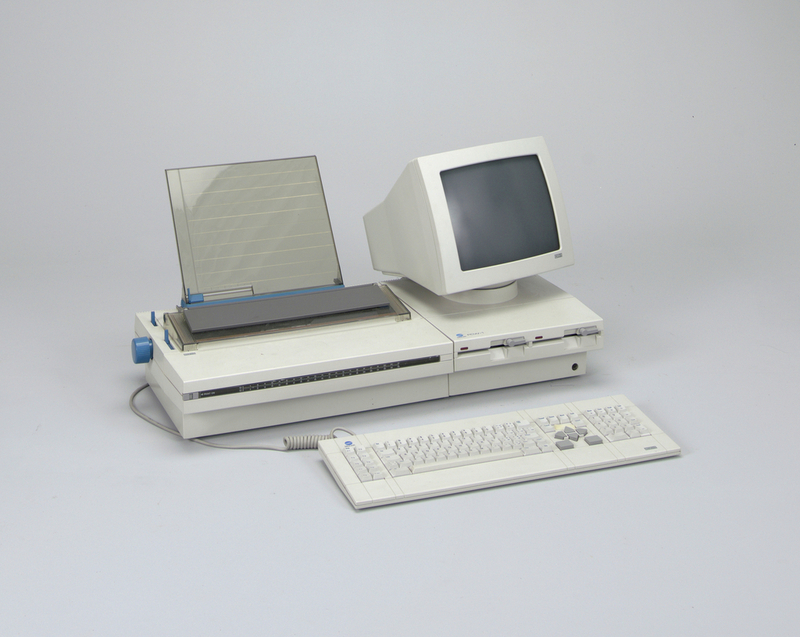 This is a Word processor. It was designed by Rickson Sun, ID Two, Bill Moggridge and David Kelley Design and manufactured by Minolta Camera Co., Ltd.. It is dated 1983 and we acquired it in 1996. Its medium is plastic housing. It is a part of the Product Design and Decorative Arts department.